Have you received a wedding invitation? Congratulations on being included on your friend or family member's big day! In addition to planning what to wear and how much time you need to take off work, you need to decide on a gift. The excitement of receiving an invitation to someone’s wedding shouldn’t be followed by stress over knowing the proper etiquette on gift giving. If you follow a few simple rules, you won’t have anything to worry about. Remember that your gift is a show of your support for the bride and groom. There are several schools of thought on how much to spend on a wedding gift. Some feel that the value of your present should exceed the cost of your place at the wedding and reception. However, this is not a hard and fast rule. First, you have to look at your budget and how much you can afford. Most brides and grooms send invitations with the purpose of having you present on their special day rather than for what you can give. The closer you are to the couple the more you may want to spend. If the bride is your sister, cousin, or best friend, the value of the gift will most likely be higher than if she is your co-worker. Set an amount you can afford and only look for gifts that stay within your gift-giving budget. Should You Give a Cash Gift? There is nothing wrong with giving cash to the couple since many newlyweds just starting out need money more than anything else. If you mail a cash gift, make sure it is in the form of a check. If you wait until the day of the wedding, place your cash gift in a protected box, guarded basket, or in the hands of the bride or groom. You are never under obligation to give a gift, but it is always good form to do so if you attend the wedding. However, if you are unable to attend, you should send a congratulatory card, either with or without a gift. You may choose to participate with other people for a coworker’s wedding gift, but you are not obligated to do so. Before purchasing a wedding gift, check to see if the bride and groom have registered with stores. If so, it is always good form to select something from the registry. If not, you may want to ask someone in the family or a close friend what is needed. Be considerate of the couple’s traditions, religious preferences, and personal taste when purchasing a gift. Most of the time you won’t see any mention of wedding gifts on the invitation. However, some couples who don’t feel that they need anything will add “no gifts” to let people know that all they want is to share their joyful day with family and friends. You may still give them something or ask if they would like for you to donate something to their favorite charity in honor of their wedding. 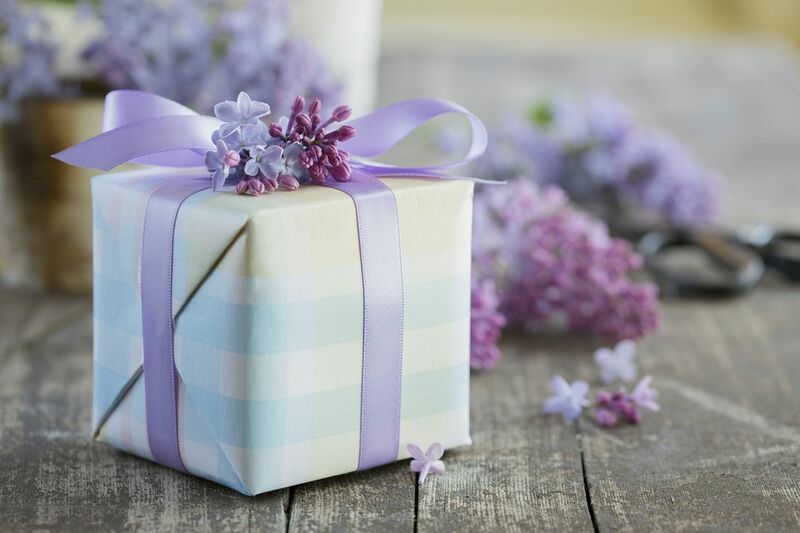 The ideal way to deliver the gift is to send it to the home of the bride before the wedding. That cuts back on what the couple has to transport during this busy time, and you won’t have to worry about the gift’s safety in such a public place. If you are unable to send the gift in advance, you may take it to the reception and place it on the designated gift table. Remember to attach a card with your name and address so they know who the gift is from and know where to send the thank you note. When you send the gift, you should never expect it to be returned. However, if the wedding is canceled, the bride and groom should send back the gift. Some couples don’t know the proper etiquette and may not return the gifts. It is never good form to ask for it back, so if this happens, consider it an oversight during this stressful time in the couple’s relationship and let it go. If the couple divorces shortly after the wedding, proper etiquette is for them to keep the gifts that have probably already been used. Leave it up to them to divvy out their personal belongings. Very rarely will you have wedding gifts returned after a divorce or annulment.